Welcome to the RDT Blog. In all walks of life, we’re always looking for that “easy button” – that one solution that solves our most pressing challenges without causing us worry, stress, or financial burden. While the real “easy button” is just for show, remote refrigeration monitoring is one solution that’s making life easier for foodservice operators. 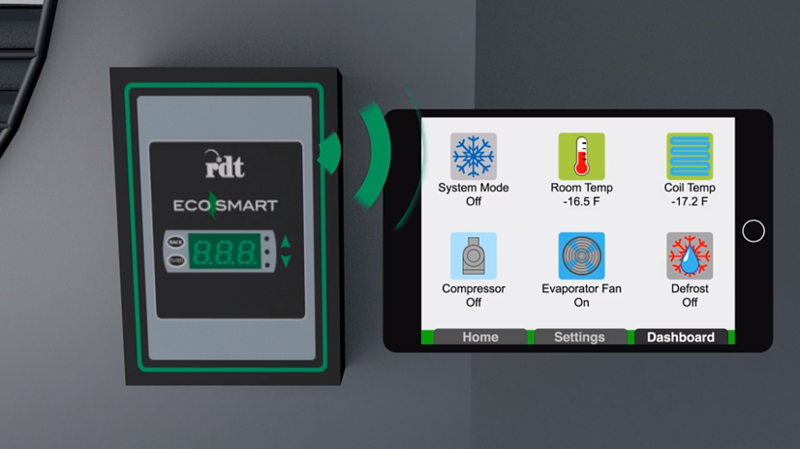 The Eco-Smart home page displays real time system information and shows the interaction of multiple system conditions. 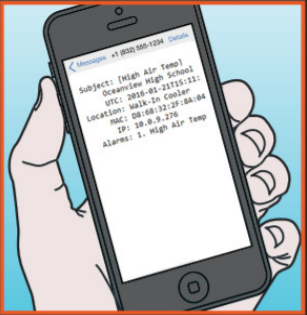 Operators receive e-mail and text alerts immediately upon unusual events within their walk-in cooler or freezer. When tied to a local area network, the Eco-Smart controller’s information can be accessed, reviewed, and changed from anywhere there is network access, whether on a computer, phone, or tablet. With a comprehensive look at system data without having to step foot in the facility, service technicians can gather a great deal of information about the system performance before making a service call. If a service call is needed, technicians are better prepared and work more efficiently, saving them time and saving operators money. Compliance can make or break a business. The conditions in which foodservice operations store and cool food should be constantly monitored or they risk a failure to meet compliance standards. With remote monitoring, the home page reveals a wealth of information, including temperature graphs, which can be printed for compliance reporting. A bank keeps its money in a vault because it’s safe, right? In foodservice, think of the walk-in as the vault and the food as your money. It needs to be protected. With its remote monitoring capabilities, the Eco-Smart controller protects valuable cold storage product investment by alerting operators when dramatic temperature changes or other alarm events occur in the walk-in. Don’t be alarmed by an inefficient walk-in cooler or freezer any longer. See how the Eco-Smart evaporator controller can save energy, reduce food waste, and increase peace of mind. Watch this short animation to learn more. Our goal is to provide education and a helpful resource for our consultants, dealers and end-users.